Electric bike hire is not available from OnBike directly, but we do offer FREE test rides on all our ebikes! No appointment necessary! OnBike Electric Bikes is based in Worcester. Click HERE to see our wide range of quality ebikes. However, for extended rides, ebike hire is available from our good friends Bewdley Outdoors at the Wyre Forest Centre, located 3 miles west of Bewdley, on the A456 Kidderminster to Tenbury road. We’re proud to support Bewdley Outdoors who are based at the Wyre Forest, and offer a wide selection of hire options for individuals and families alike. There are many bike trails in the Forest, each offering a beautiful and scenic way to enjoy all aspects of cycling in safe and leafy surroundings. 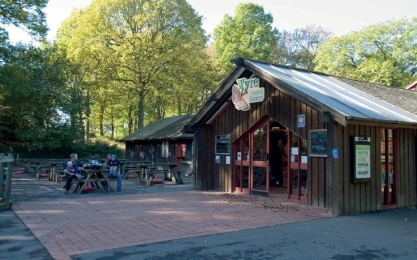 The Wyre Forest Centre also boasts a further number of excellent activities and facilities such as a Discovery Centre, Go Ape Tree Top Adventure and Tree Top Junior, Play Area, and Cafe. Easy access and plentiful parking make a visit to the Wyre Forest a great day out. Bewdley Outdoors offer a wide and varied range of conventional bikes for hire. These include bikes for gents, ladies, and the younger generation too! Also available are child seats, ‘tag a longs’ and trailers. All at very reasonable prices. There’s a good selection of electric bikes that are available to hire with a variety of motors to enhance your cycling experience, whilst enjoying the forest scenery at the same time. * NOTE – bike hire price includes a lock, pump & tool pack.To book your electric bike hire at the Wyre Forest, phone 01299 266601 or 07436 815947. Alternatively, email bewdleyoutdoors@btconnect.com or visit Bewdley Outdoors for more information.